Cracks in your vehicle’s windshield can happen for various reasons and may require windshield replacement. A small piece of debris at the right speed is all it takes. Maybe a small rock fell out of the dump truck you were driving behind on the freeway or a car passing you kicked up a rock from the road and now you’re got a small star-shaped crack. It’s low, off to the side, not really affecting your ability to drive safely. baIf a replacement windshield is not sought, even the smallest windshield crack can spread and cause problems. For one, it’s likely your car won’t pass its state inspection. Plus, if a police officer sees you driving and feels that your windshield is unsafe, you’re likely to get a ticket. You can repair small chips with resin-based repair kits, but this won’t be enough for large cracks. 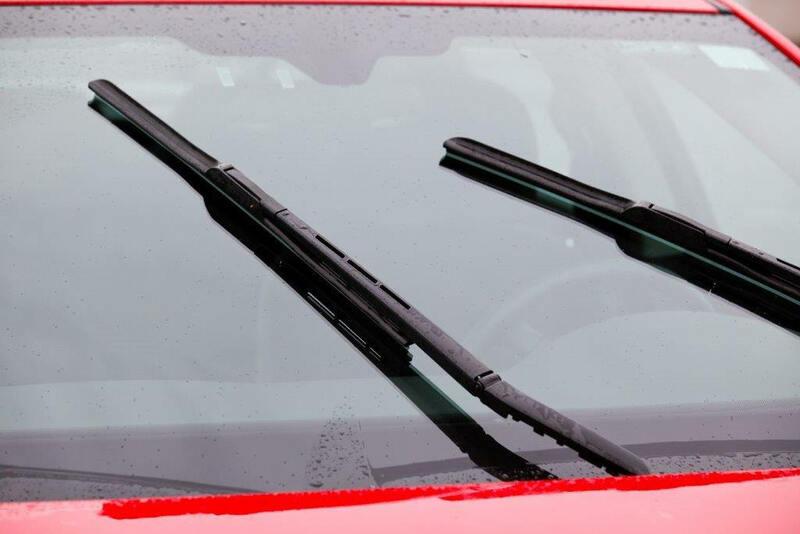 It can also damage the windshield wiper blades and windshield frame. Although you might be avoiding having to replace your windshield, often that can become your only option if you wait too long and the problem spreads. Before you get your windshield repaired or the entire car windshield glass changed, there are some things you can do to make sure you’re being as safe as possible. Make sure the crack doesn’t interfere with your view and don’t drive if it does. Put a piece of clear tape over the crack to temporarily keep out dirt and water to prevent more spreading before you can have it repaired or replaced. Don’t get your car washed and try to keep the car out of the rain. Avoid extreme hot or cold. Even using your defroster or air conditioner can weaken the windshield and cause the crack to spread. Avoid parking in direct sunlight if possible. Make sure you drive on roads that aren’t going to bounce your car around too much. A lot of side to side and up and down motion can cause the cracks to spread. If you decide to try to repair your windshield, you can find kits at most automotive stores. They usually consist of a special resin and a syringe that you use to inject the resin into the crack or chip. You can also take your car to an auto glass specialist who can repair it for you. If the damage is rather significant and you don’t feel comfortable driving, it’s probably best to replace your windshield. This can get a little difficult as it’s unlikely the car is drivable. Auto glass specialists can come to your home and replace the windshield. If you’d like to try to do it yourself and have access to the proper replacement, there are several things you need to know. Check with your insurance company. It’s possible that replacing the windshield yourself might cause problems with your car insurance as this is a job typically done by professionals. If done incorrectly, you could be putting yourself in a bad situation. Another thing to consider is that if your car is pretty new and still under warranty, replacing your own windshield might void it. If you decide to move forward and do the replacement yourself, there’s a lot to consider. Before you can place a new windshield, you’ll need to know how to remove the old one. First, the most common way that windshields are mounted is with heavy-duty watertight glue, although some use rubber weather-stripping and clips. Once you have all your equipment, you’re ready to start. It’s important to adhere to the proper safety precautions. If the crack is large enough, there’s always a chance that the glass can shatter and, if that’s the case, you want to be wearing at least protective eyewear and gloves. Use the large towel to cover your hood so no damage occurs. The windshield is large and will be a bit awkward to maneuver and you want to make sure you don’t scratch the hood in the process. Remove the windshield wipers with the socket wrench. Keep the hardware in the plastic bag or container. Locate the clips around the molding, remove and discard them. Then, use the lubricant to cover the perimeter so the windshield will easily slide out. Use the pry bar to pull away the molding and weather-stripping. Place the suction cups on the windshield to attach the bar. With one person in the driver’s seat pushing the windshield with his or her feet and one pulling on the bar, the windshield should easily pop out. Try to put all pressure on areas of the windshield away from the damage. The removal process is a little easier if the windshield is mounted with glue but it’s difficult to do this without breaking the glass altogether. You’ll need a windshield knife. Work the knife under the glass and rock it back and forth, working your way around the perimeter. You might want to have someone with suction cups and a pull bar to help provide tension on the glass. Again, use proper safety equipment as it’s likely the glass will break as you are manipulating it. Because replacement is a little more difficult and much more important to do correctly, we urge you to consult a professional before installing a new windshield on your own. If done incorrectly, the windshield can be unsafe and unstable during driving and the results could be catastrophic. Having a windshield that is free from cracks is essential to safe driving. If you are unable to repair any problems you have, replacement is the next step. If you know how to remove a windshield, you can get the work started; but we highly recommend calling in a professional for replacement. This is really the only way to make sure you stay safe on the road.